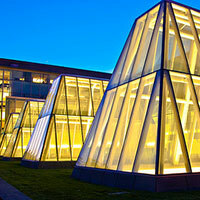 The University of Washington hosted the Third Annual Emerald City Open the weekend of December 1-2, 2012. The Huskies enjoyed eight great rounds against Colorado, UC Davis, Arizona, Portland, and Gonzaga. Team 1238 continued its success by winning six ballots, good for a Third Place finish! Team 1237 won four ballots en route to a top-ten showing. Putting on a tournament like this is a lot of work, and it takes a lot of people for everything to run smoothly like it did. We would like to recognize all of our volunteer judges for taking time to evaluate students from across the country. Additionally, we would like to thank Dean Kellye Testy, Kim Eckstein and the entire UW Law School staff for allowing us to host in the beautiful William H. Gates Hall for a third consecutive year. Finally, a special thanks to Taylor Larson, Erica Strathern, Mike Harnden, and Alex Crown, our tournament coordinator, for helping during the tournament to make sure everything went according to plan.